I'm excited to share some very good news with you, news that will help strengthen tribal economies across the Colorado Plateau. In 2019, the Grand Canyon Trust is proud to help launch Change Labs, the Navajo Nation’s first center for coworking and business incubation. This multimillion-dollar endeavor will help Native American small businesses thrive in 2019 and beyond. You might be wondering why a conservation organization like the Grand Canyon Trust, founded to protect and restore the Grand Canyon and surrounding landscape, is also thinking about the economic landscape on tribal lands across the Colorado Plateau. To answer that question, I have to take you back to 2012, when mover and shaker Natasha K. Hale came to the Grand Canyon Trust with a wild idea. 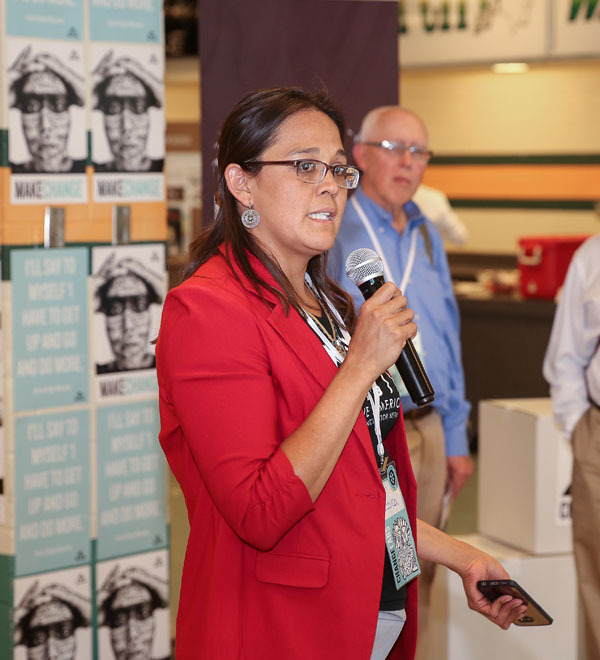 If we truly wanted to support tribal communities on the Colorado Plateau, Natasha said, and stand with them in their efforts to protect their ancestral homelands from destructive developments like the proposed Grand Canyon tram, we should support Native entrepreneurs working to build a strong and healthy local economic base. What we needed, Natasha argued, was a business incubator. The proposal was unlike anything the Grand Canyon Trust had ever done. But if there is one thing we've learned over the years, it's that accomplishing our mission requires creativity and being willing to try things no one else has. Also, if you've ever met Natasha, you know that she is a force to be reckoned with. So in 2014, we took the leap and founded the virtual Native American Business Incubator Network (NABIN). Seasoned business counselor Jessica Stago soon joined the team, helping entrepreneurs navigate bureaucratic red tape and providing tailored support based on individual needs. From counseling to mentorship to providing training in accounting, finance, and marketing, to pairing entrepreneurs with artists and graphic designers to brand their businesses, launch websites, and create brochures, signs, and business cards, a small but tireless and creative team carried the idea forward. A key boost in NABIN's early growth came through a partnership with Silicon Valley veteran Heather Fleming, founder and CEO of Catapult Design, who organized business-development conferences, brown bags, competitions, and hands-on workshops for entrepreneurs across the Navajo Nation. In 2017 alone, the incubator provided business-development trainings for 42 existing and aspiring businesses. The first cohorts have created seven successful new companies and 17 Native-owned companies are currently in incubation. From bed-and-breakfast operators to fashion designers, the incubator has helped Native American business owners thrive. As a function of the hard, creative, and persistent work by Natasha and others over the last six years, the incubator has reached launch velocity. This past fall, the NABIN team joined forces with Catapult Design, who entered an idea called "The Tuba City Project" in the Unlocking Change Challenge administered by the Ashoka Foundation and BNY Mellon, competing against more than 100 social entrepreneurship initiatives in 41 states. They'd seen that a virtual incubator could work, and now the NABIN team set its sights on opening a physical space in the Navajo Nation's largest community, Tuba City, Arizona, where entrepreneurs could rent work and meeting space, check out laptops, use the internet, and access other business services, making it possible to serve more businesses and help more business owners succeed. After listening to startups in local communities for years, they understood the unique obstacles entrepreneurs on the reservation face — many homes don’t have physical addresses, making it hard to apply for a tax identification number, for example — and they had innovative ideas for how to help overcome them. Just four award recipients were chosen. The Tuba City Project was one of them, taking home a $50,000 prize, and opening the door to valuable opportunities for networking within the social entrepreneur community. It was a big win and added wind to the sails of this next big idea. Last month, after nearly a year of proposals, the Grand Canyon Trust's Native American Business Incubator Network was awarded a three-year grant totaling $1.2 million from the W.W. Kellogg Foundation to support the next chapter of NABIN’s sustainable economic development and social entrepreneurship work in Native America: Change Labs. When it opens in late 2019, Change Labs will have eight full-time staff and occupy a 4,000-square-foot brick-and-mortar space in Tuba City, providing desk space, internet and software access, onsite business counseling, and classes in website design, financial planning, and leadership development. It will also work with the Navajo and Hopi nations to increase the number of small businesses operating on their lands. Natasha has moved on to working directly for the W.W. Kellogg Foundation, but we are grateful for her vision and her leadership. The Trust is excited to forge ahead with an incredible Change Labs team. Heather Fleming will serve as Change Labs' first executive director. Longtime NABIN Business Counselor Jessica Stago will direct its business incubation arm as the Grand Canyon Trust's Change Labs director. They are an incredibly talented and capable duo. Heather's background is in design and innovation consulting. She started her career in Silicon Valley and transitioned to public sector innovation. 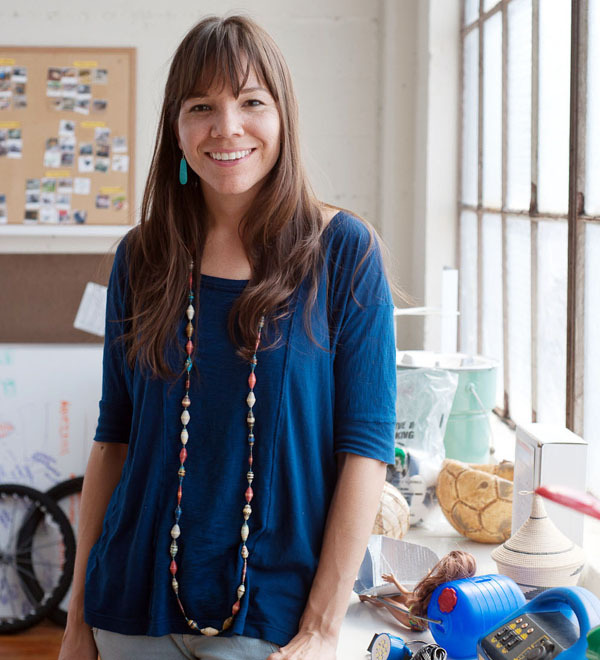 She founded Catapult Design in San Francisco in 2008 and led the company's work on the Navajo Nation. Heather is born for the Bitahnii clan. 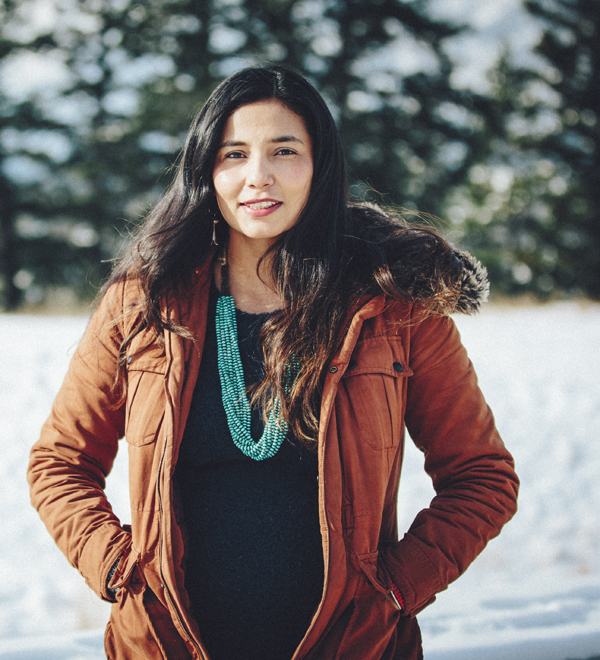 Jessica's extensive background in business counseling and business management on the Navajo Nation makes her a powerful ally for Navajo startups. She will serve as the director of business incubation for Change Labs and hand pick mentors for the program. Jessica is born for the Bitahnii clan. Heather and Jessica will direct an effort that has incredibly ambitious designs over the next three years. NABIN will change its name to Change Labs and substantially ramp up services provided to businesses and entrepreneurs across the Navajo Nation. Doing so at scale is critical, especially in the face of the Navajo Generating Station’s imminent closure. With the Grand Canyon Trust as its fiscal sponsor, Change Labs will transition over the next three years to become a fully autonomous Native-led nonprofit. The Trust’s support through this transition and close partnership with Change Labs into the future are critical. Change Labs has been given an incredible boost by the W.W. Kellogg Foundation. This support complements support received from the Agriculture Department, foundations, and corporations, as well as ongoing support from you, our members. Beyond this base, the effort will require substantial new support. We would deeply appreciate any and all you can give to help Change Labs thrive. As we work to protect and restore the beautiful Colorado Plateau, NABIN, in its new life as Change Labs, continues to be a shining example of optimism, innovation, and progress. Thank you to all of you who have supported the business incubator over the last six years. We hope you'll join us in Tuba City on February 6, 2019, for the community launch of Change Labs, and we look forward to sharing Change Labs' many successes with you in the months and years to come. It’s hard to find Navajo moccasins handmade by Navajo artists. Brent David Toadlena has you covered.